This small profile laser level is perfect for shooting laser lines across fabric for cutting lines. Keep swag patterns on the true bias by shooting the laser line across the fabric bias and lining up swag pattern with the line. Use it for easy marking of board mounting lines on very wide valances, such as box pleats. Simply measure up on each side of the valance and shoot the laser line across the top. It's the workroom's best kept tool secret. up projects. Various sizes available. Quickly find the center point of any object. Just measure the distance the same way as a traditional tape measure, then locate the measurement on the lower edge of the tape to find your center point. Great for installing window treatments, as you can quickly find the center point of a window without error. Also great for marking boards when fabricating the window treatments. Never have an 'oops' when finding your center point again. 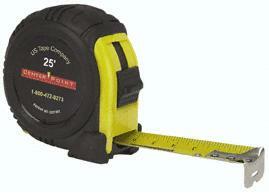 Tape measure is 25 feet x 1 inch, and comes in a sturdy professional grade casing. Multiple clutch plates provide instant adjustment for distance, secure hold, and instant release. Simply depress plates and slide handle against workpiece. 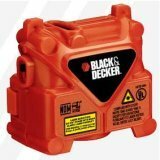 Heavy duty construction includes heat-treated steel bar with cast iron jaws, plated steel screws, and hardwood handles. Opens up to a whopping 6", making this the perfect clamp for use with worktable, workstand, or anywhere. This metal bowl has a strong magnet to hold sewing pins or staples inside the bowl. When recovering cornice boards, toss spent staples toward the bowl and watch the magnet grab the staples. Steel sewing pins also stay securely. Great for picking up dropped pins in the sewing or workroom--just sweep the magnetic bowl over the spilled pins. Keep extra pins ready at hand in the bowl. Great for sewing and upholstery workrooms. 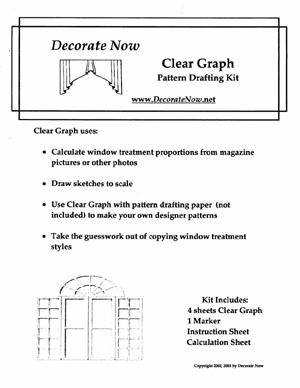 Now store your own workroom patterns in the same bags that professional patterns come in. Bags are 10" wide by 12" long (inside measurements), and these heavy-duty bags are 4 mil thick. Unlike grocery storage bags, our bags are perfectly sized to neatly fit full sized 8.5" X 11" sheets of paper, making it easier to keep patterns and instructions together. Bags are packaged in bundles of 50 and are clear, for easy viewing of contents. Also great for storing tassels and other trims. Weighing less than 2 pounds, these scissors are great for cutting sheers, fabrics, and paper. They have up to 70 minutes of continuous run time on one charge. 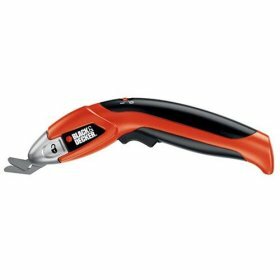 Durable plastic body, soft comfort grip, and ergonomic in-line blade design makes this product easy on the hands and wrists. True scissor cutting action. You can't help but love the effortless one-button cutting of these scissors. Buy two, so that one can be charging while you use the other one. Includes scissors, universal cutting blade, and charger. 1.6 pounds. Approximately 10" long. 3.6-volt. This rack has 3 arms and 24 hooks. 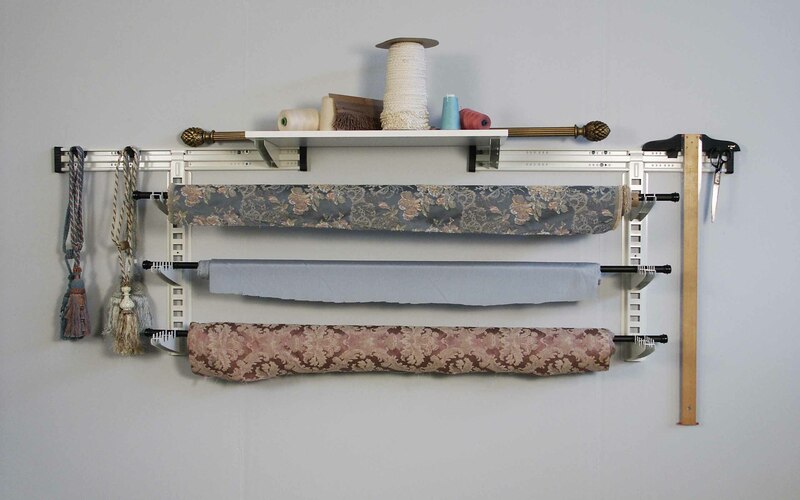 Perfect for fabric stores that need to display patterns, the rack will hold up to 18 different patterns. Also great as a point of purchase spinning rack for displaying smaller items for sale. In the workroom, use this rack for hanging tassels, tape measures, scissors, decorative trims, and anything else that might get tangled or lost. The flat arms help prevent tassels and trims from getting tangle, unlike round spinner racks. Each arm spins, allowing easy access to both sides. Never have your tassels get misplaced or messed up while waiting to finish a job. Rack is 60 inches tall. Arms are 24" wide. 24 hooks provided with rack. Additional hooks are available for purchase. AutoTape is battery powered, and the tape can extend out to 25 feet. Or it can also be used as a manual tape measure. This tool is a must-have for measuring jobs where a second person isn't available to hold the tape end. Just press a button and the tape extends out. Press the reverse button and the tape rewinds. Tape extends out to approximately 7 feet before bending. Uses 4 AAA batteries. 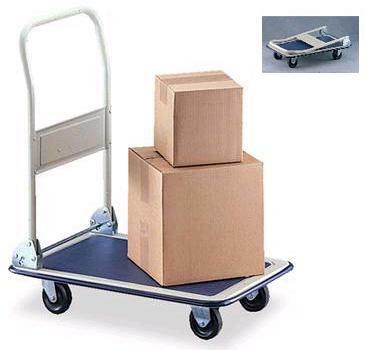 The EasyMover hand truck is 23 1/2 wide x 35"long x 32" tall (with handle up). It has a 600 pound capacity. A wrap around rubber bumper prevents damage to walls and doors. 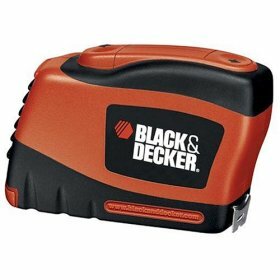 Rubberized deck prevents boxes from sliding off. Handle folds down for easy storage in closets, under beds, behind desks, or other small spaces. Fold down the handle and easily take EasyMover to your next job site. The under 24" width deck means that EasyMover fits through most doors. Unlike a regular hand truck, the deck is nice and large. Two rotating front wheels combined with stationary back wheels makes EasyMover easy to roll and steer, even when loaded. The following products are in stock and ready to ship.